File photo by Steve Muscatello New Ulm’s Carli Botten drives to the basket in a recent game at New Ulm High School. 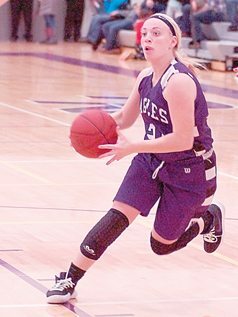 NEW ULM — Joey Batt put up 27 points for New Ulm as the Eagles defeated the Fairmont Cardinals 67-48 in a Big South Conference girls’ basketball game Thursday night. Tough defense by the Eagles (8-3) allowed them to open up a 16-2 early lead with a lot of time left to play in the first half. The Eagles’ lead was produced from outside shooting being at the size disadvantage against the Cardinals (6-4). “Defensive intensity from all the girls at the start of the game set the tone for us and carried us through,” New Ulm coach Brian Batt said. The outside shooting forced the Cardinals to cover outside allowing the Eagles to drive down low and put points on the board. When the game slowed down the Eagles took advantage of little pressure inside the paint, as the Eagle’s offensive players were able to cycle through the lane. Turnovers forced by the Eagles in their defensive zone allowed them to add pressure with fast breaks and open a commanding lead. New Ulm’s Iyanna Wieland tallied two key blocks in the first half while Fairmont’s points came from inside the paint. “This win felt really good against a conference team, they have some good post players and we had to get in their with our body and move them which was our main goal,” Wieland said. Batt was able to drive inside the lane and squeeze past the Cardinal defenders and keep the scoring moving. New Ulm’s Batt put up 16 points in the first half and Wieland had 11 points for a 41-24 New Ulm lead at the end of the first half. Batt came out hot in the second half, scoring 8 points in the first minutes of the second half. The Eagles defense wasn’t able to control the game in their defensive zone in the paint. The Cardinals passing kept the Eagles moving as Fairmont put up its first six points under the net. With just over two minutes left to play, Wieland answered the Cardinals scoring rush with two 3-pointers to put the game out of reach for the Cardinals. “It felt good to knock down some three’s tonight, my goal was to get my confidence up tonight,” Wieland said. For the Eagles, Batt led the second half with 11 points with Wieland boarding 8 points. Batt’s 27 points led the Eagles with Wieland scoring 19 points and Ellie Bute with 9 points all from 3-pointers. Lardy led the Cardinals scoring with 21 points. 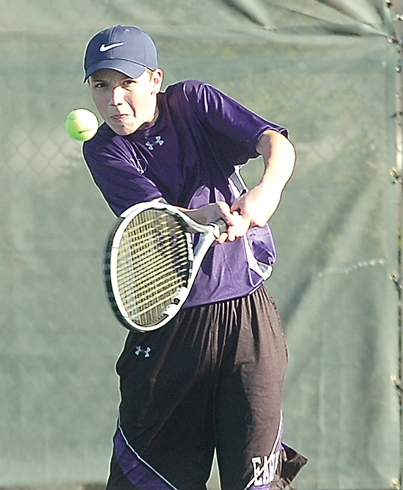 New Ulm will host Faribault at 2 p.m. on Saturday for a non-conference game.